Despite conceding their first goal of the year, the Tigers still own a 31-1 goal differential in their six games. Boys’ soccer emerged victorious in its sixth preseason game with 7-1 win against Village Christian on Tuesday, December 11. The Tigers’ adaptability to their opponent and masterful ball control worked to secure the home victory. The Tigers began their ruthless offensive as soon as the half began, initiating a swift drive down the field that caught the Crusader defense by surprise. The attack kept possession of the ball in South Pas’ hands up until its first goal by sophomore Reo Snyder ten minutes into the first half. However, this outburst of aggressive energy briefly expended the stamina of the Tiger defenders, giving their opponents time to strike back. Consequently, this resulted in the first point scored on the Tigers by any team all of preseason, tying the game at 1-1. The boys’ team then looked to recover quickly to avoid losing any more momentum in the first half. Instead of succumbing to the Crusaders’ tightening formations, the Tigers lashed out, improving short passes and team communication to maintain consistent control of the ball. 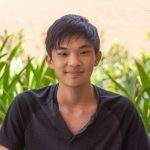 The Tigers’ defense strengthened as well, with senior goalie Ryan Wong preventing numerous goals from the Village Christian offense. By the end of the half, these improvements saw Snyder score two additional points and left the scoreboard reading a decisive score of 3-1. As the boys’ team entered the field for the second half, its players were prepared to completely shut down any potential Crusader comeback. Sophomore Porter Calva made a strong impression early into the half with back to back goals that only added to the enemy’s distress. 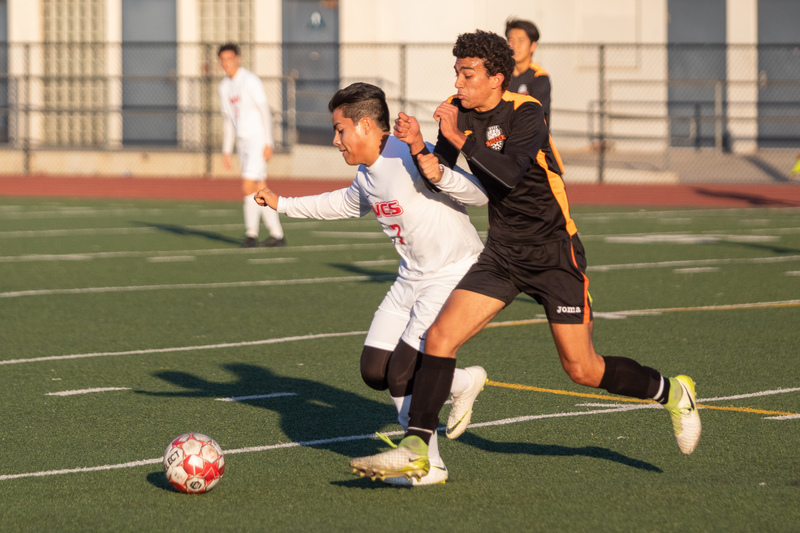 The Tigers’ consistently exerted power over the ball, thanks in part to senior Addison Foord and junior Braden Wong, who prevented any retaliation from the opposition. As time went on, the Tigers showed little indication that they would cease their brutal onslaught. Only after two final goals from Snyder and sophomore Caleb Lee did the offense let up, but by then the Crusaders’ chances of victory were hopelessly slim. The match ended 7-1 in the Tigers’ favor. The win marked a return to the boys’ team’s dominance after a narrower victory over Canyon High School 2-0 on Friday, December 7. In the victory, the Tigers showed admirable resilience throughout both halves to trump the enemy defense. The South Pas team hopes to earn its seventh consecutive preseason win in its next match scheduled against Schurr away on Thursday, December 13.